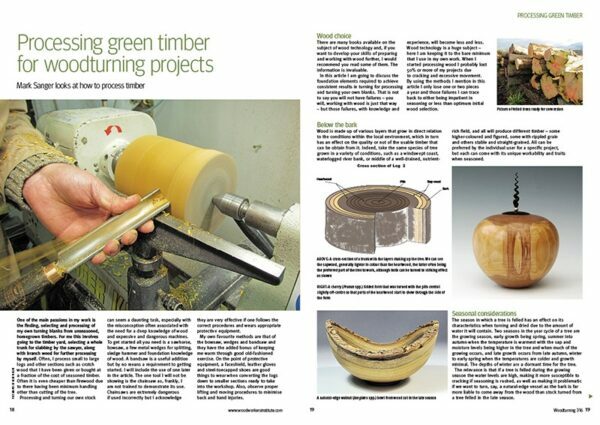 Woodturning is read by turning enthusiasts in over 60 countries worldwide and is packed with projects, features on turners around the world, tests and reviews, as well as news, letters and tips. Our projects cater for varying levels of ability, so there is something for everyone, from beginner to professional. 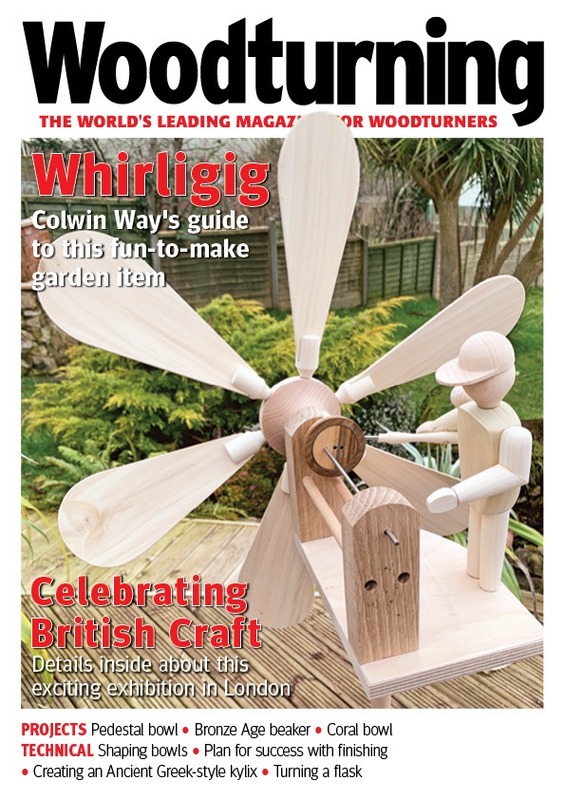 In issue 331 of Woodturning magazine we have lots for you to enjoy. In Projects, Colwin Way makes a spinning whirligig toy; Neil Turner decorates a thin-walled bowl; Mark Sanger creates a textured oak sculpture; Les Symonds turns a Bronze Age-inspired beaker; and Andrew Potocnik makes a pedestal bowl with a pierced rim and foot. 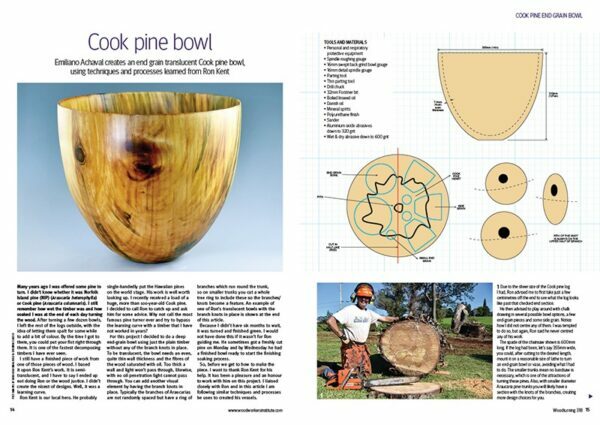 In our Techniques section, Richard Findley turns a handled drinking vessel; Andy Coates shows how to incorporate inspiration from ancient pottery in a turned flask; John Plater explains his take on shaping bowls; Mark Palma shares eight top tips for finishing your work; Chris Grace discusses making distinctive boxes; and Geoffrey Laycock looks at drilling pen blanks. In Features, we showcase some of the work from the Art of Giving exhibition; we preview GMC’s Celebrating British Craft exhibition; and Pete Moncrieff-Jury discusses turning at minimal cost. As well as all this, we also have our usual Kit & Tools pages, Leader from the Editor, Community news and a sneak peek of our next issue. All this and more in Woodturning 331!